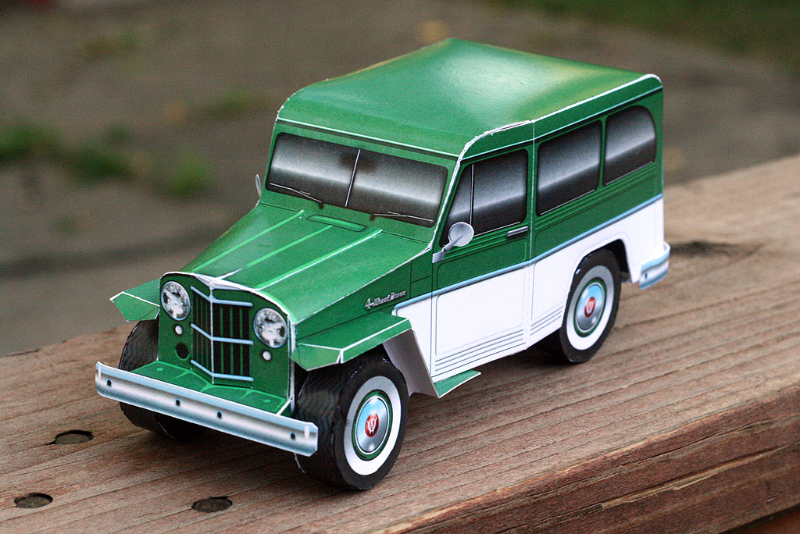 Over the weekend I completed the model I’ve been thinking about doing for a long time – the Willy’s Jeep Wagon. The reference photos I found on google images were less than perfect, but I feel I have captured the unique look of a 1960-ish Willy’s Jeep Station Wagon. I do really enjoy Classic Jeep trucks. It’s so popular however, that models exist, so I find the ones that have not been modeled – such as the Might FC Concept Jeep and this one. I also hope to build the FC 150 in the future to complete the set. Pop over to the Gallery to check out more photos!